The Colby Foundation's first quarter of 2013 has been action packed. We are so grateful for the generosity of our contributors, which has supported expanded efforts to educate about organ, eye, and tissue donation. Since January, we have spoken to medical students, faculty, and staff at five medical schools in four states as part of the Colby Cassani Endowed Lectureship Series (CCELS), a full-spectrum learning experience that the Colby Foundation awards to qualifying schools of medicine. The CCELS not only includes speakers addressing donation and transplantation's clinical challenges, scientific developments, ethical issues, and regional logistics; but, it also features individuals sharing their personal journey as an organ donor, donor family, or transplant recipient. A cornerstone of the Lectureship Series is Colby Foundation Trustee, Starla Cassani's, presentation telling Colby's story. The Cassani's tragic loss of Colby and the hope and healing they found through donating his organs inspired them to establish the foundation to educate others in his honor. Through the CCELS the Colby Foundation is funding a permanent place for education about organ, eye, and tissue donation in the curriculum of qualifying medical schools. Our sincere thanks to the presenters, planners, organizers, attendees, our contributors, and to all of those who ensured the success of the CCELS at each school! The Colby Foundation is a contributor-supported non-profit organization. 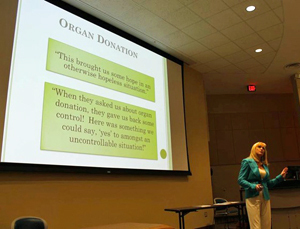 Our mission to educate about organ, eye, and tissue donation across the U.S. is realized through many outreach activities, including the Colby Cassani Endowed Lectureship Series and it is made possible through the generous contributions of our supporters. By the close of 2013, the Colby Foundation's efforts will have reached over 6000 individuals--together we are making a life-saving impact! Our fundraising goal for 2013 is $12,000. We hope you will consider making a contribution now to partner with us in continuing this work. March 14th: World Kidney Day. Promotes prevention of kidney disease, highlights the tremendous need for kidney donations, encourages kidney health checks (free screenings available. March: National Eye Donor Month. Did you know corneal (eye tissue) transplant restores sight? February 14th: National Donor Day. Highlights the "five points of life:" organ, tissue, marrow, platelets, and blood donation. January: National Blood Donor Month. January 1st: As part of the Rose Parade each year, a rose is placed on the Donate Life float to honor Colby's gift of life to three others. His rose is among more than 3000 others donated in memory or in honor of loved ones who gave or received a life giving organ/eye/tissue donation. April is National Donate Life Month: This is a month set aside to raise awareness and to inspire the choice to be an organ and tissue donor. Learn more. Tell a friend. Be a hero. Register today. Website Launch: Our new website launches next month. The foundation was thrilled to be awarded a matching grant by web developer, Data-Scribe. The grant made possible this robust and engaging new website that will amplify our outreach efforts. Thank you Data-Scribe! Our website educates and inpires about the life-saving gift of organ donation in the digital realm! "I wanted to share my family's organ donation story," says Stephanie, remembering her dad Art who passed away last year, "and, at first, all I could think of was the word 'gratitude'." Gratitude is what she feels for the 17 year gift that organ donation was for her family. It is a gift that Stephanie wants to inspire others to give. "Our story begins after Dad's two year wait for a kidney on the donor list" she says. "We couldn't know what God had planned, but we accepted it. And then we received a phone call that would change the course of our lives forever." There was a match for her dad. A kidney donor had been found in a 21 year old man whose life was taken in an accident and who had the "pink dot" on his driver's license. Stephanie remembers the mix of emotions. 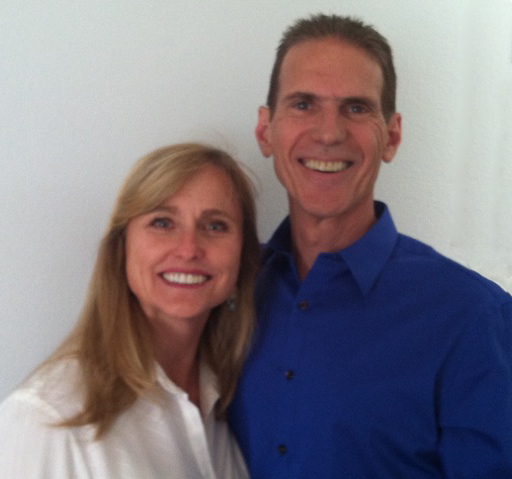 "As we raced to the hospital, we said a prayer for whoever lost their life. It's hard to be excited when you know a family somewhere is grieving. 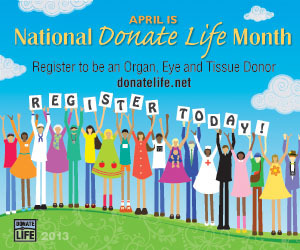 Because of a selfless act by one person to become a donor, as quick as a life ends a new one begins." She also remembers the change in her dad. "My dad received his kidney...and became a new person. Knowing that someone gave him this gift of life, he was humbled." The gift lasted 17 years. "That's a lot of laughs and a lot of smiles," she says. 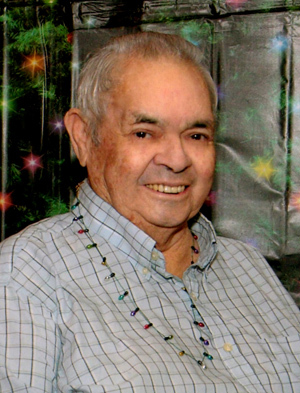 "In those 17 years, my dad gave his time to orphanages in Mexico, delivering food to those who needed it. He got to walk me down the aisle at my wedding. He became a grandfather and a great-grandfather. He cheered me on at the finish line of 17 marathons. But, most of all, his last act of kindness was giving back through being a donor himself and a spokesperson. He wanted everyone to understand the meaning of the 'pink dot.' And so, at his request, in lieu of flowers we asked everyone who came to his memorial services to please become a donor. He touched so many lives this way." "He was a caring, fun, silly guy, who loved to dance, and was often the life of the party. We were so blessed to have had him for all those years. We are filled with gratitude." THE COLBY FOUNDATION WOULD LOVE TO HEAR FROM YOU. HOW HAS YOUR LIFE BEEN TOUCHED BY ORGAN DONATION? WOULD YOU LIKE TO SHARE YOUR STORY OF HOPE? PLEASE CONTACT US!